Pin Up Artist- Vaughn Bass, another top artist from back in the day. 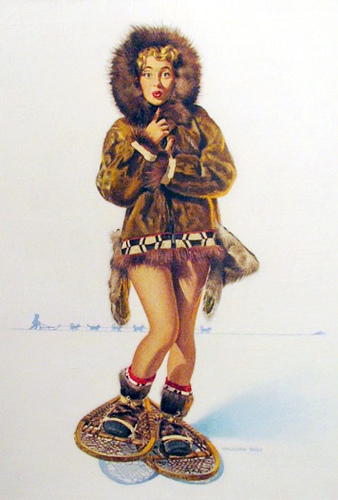 Vaughan Alden Bass was a Chicago artist who began his pinup career during the 1930s. He appears to have been strongly influenced by the circle of artists that grew up around Haddon Sundblom. 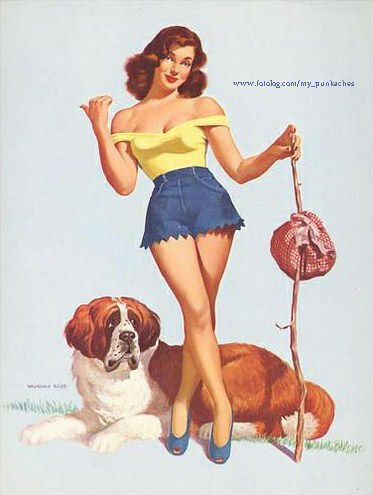 Bass created his own pinups for for Brown & Bigelow, but he was then employed by the Louis F. Dow Company as a “paint-over’ artist, commissioned to redo the work that Gil Elvgren had previously created for the company. Dow was motivated by economic interests, hoping to earn more money from such “re designed” Elvgrens. Fortunately, Bass was a skilled and sensitive artist: he strove to leave the faces, hands, skin, and other key areas of the Elvgrens essentially untouched. However, he occasionally had to repaint an arm or hand because it had to be repositioned to accommodate a new over painted image. 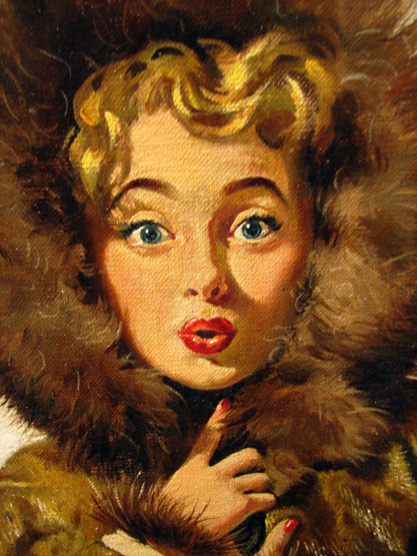 His painting style was often compared to that of Elvgren, Al Buell, and Joyce Ballantyne. He worked in oil on canvas in almost the same sizes as the others. In the 1950s, the versatile Bass did a series of spectacular oils depicting wrestling scenes that clearly demonstrated his ability to be comfortable with any subject matter. He created the “Wonder Bread Girl” in the 1950s using his daughter Nancy as his model. His portrait of President Dwight D. Eisenhower is in the Smithsonian institution in Washington D.C. I always was impressed with the look of these girlies and I thought it would be great to share a few of these with you. This entry was posted in Blog and tagged 1940's, lifestyle, pin up, rock n roll, rockabilly, vintage art.